The learning community counts 15 members affiliated with the Jagiellonian University of Krakow and at least other 10 future participants from other institutions. Eight of these are young scholars conducting research on different aspects of Galician Jewry, including Jewish social history of 18th-19th century, Jewish networks during the Holocaust, Progressive Judaism in Galicia, Jewish medical history, Jews-Gentiles relations, Jewish Enlightenment (haskalah) in Galicia.The director of the learning community id prof. Michal Galas, director of the Institute for Jewish studies in Krakow. Dr. Alicja Maślak-Maciejewska is responsible for the project activities of the learning community. The Institute for Jewish Studies organizes BA and MA courses, including teaching of Hebrew and Yiddish. 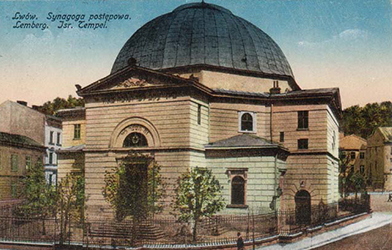 Moreover, it is involved in the dissemination of research among the general public in cooperation with the Museum of Galician Jewry in Krakow, which holds exhibitions, events, and has an internship program for students of Jewish Studies. The Institute is also involved in training school teachers in Jewish and Holocaust didactics. Currently, the institute is involved in a major enterprise of digitalization of resources regarding Galician Jews. 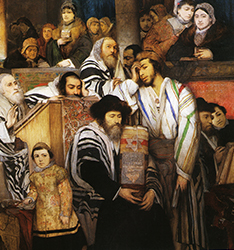 · Jewish public libraries in Galicia: haskalah in Galicia, Jews and non-Jews relations around Jewish libraries, Jewish communal organizations and secular, religious libraries in 19th and 20th centuries (dr. Monika Biesaga). · Social history of Galician Jewry in the early 20th century and its consequences on the social network that operated in the territory of historical Galicia during the Shoah (dr. Edyta Gawron). · Progressive Judaism in Galicia: history, development, and communities (prof. Michał Galas and dr. Alicja Maślak-Maciejewska).